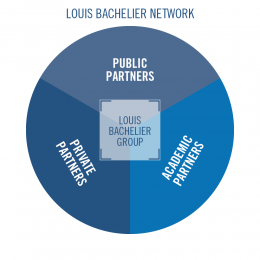 The Louis Bachelier Network was created to stimulate exchange of knowledge and cross collaboration aiming at supporting sustainable development within economics and finance. The network has more than 400 researchers, 85 private companies and several public organizations mobilized including « la Direction Générale du Trésor » and « la Caisse des Dépôts » which created Institut Louis Bachelier in 2008. The Louis Bachelier Group works to finance, develop and promote excellent research in economics and finance. 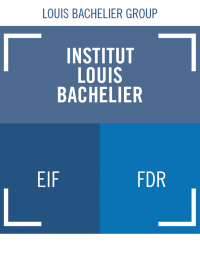 The Louis Bachelier Group consists of “Institut Louis Bachelier” (ILB) and the two foundations “Institut Europlace de Finance” (IEF) and “Fondation du Risque” (FDR). 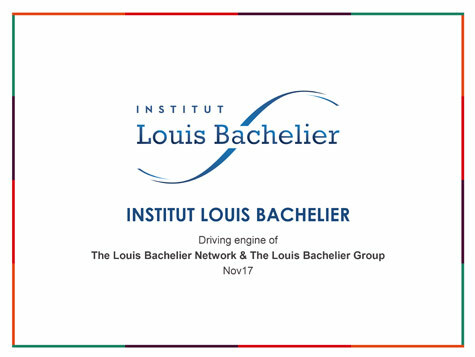 Please contact ILB if you wish to be part of the Network and benefit from a Louis Bachelier Network membership.